This is the Qiantu K50, a Chinese electric sports car that aims to arrive in the US market in 2020 with the help of California-based Mullen Technologies. The Qiantu K50, which will be on display at the New York Auto Show, is built around an aluminum chassis and wears a carbon-fiber body. The chassis employs double wishbones all around and has been tuned by Mira for proper sports car–like handling. Power comes from an electric powertrain that uses dual motors, one mounted on each axle, for a combined output of 300 kW (402 hp / 407 PS). However, the powertrain also features an “overclocking mode” which boasts 320 kW (429 hp / 435 PS) and torque vectoring. The company didn’t confirm the battery pack’s capacity for US-spec models – China-spec ones get a 78kWh unit – but they did say that it’s a unique battery box module, complete with active liquid cooling and heating management. 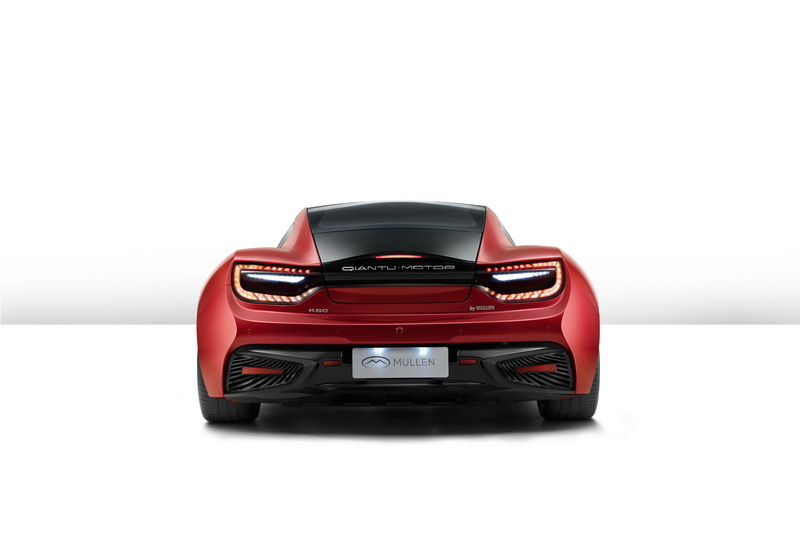 The interior features leather and Alcantara sports seats with heating and ventilation. Drivers will also find large central display screen which provides easy access to vehicle settings, the climate control system and third party apps. Other features of the Qiantu K50 include a roof-mounted solar panel that powers an in-car air circulation system designed to keep the cabin cool in temperatures above 77 degrees Fahrenheit. Mullen Technologies will assemble the Qiantu K50 In North America and we can expect to learn more closer to its scheduled launch in 2020.